In over thirty-five years in the full time ministry, Dan and Claudia Denissen have faithfully ministered in fourteen nations including: Estonia, Russia, Belarus, Finland, Norway, Hungary, Romania, Jamaica, Israel and most recently Mozambique, South Africa, Switzerland, Italy, and across the USA. They have been preaching and teaching in churches in Minnesota and Wisconsin, and assist Senior Pastors of four local churches in an advisory capacity. They head Dan Denissen Ministries International and serve as spiritual parents to pastors in some of the countries mentioned above. Numerous changed lives are the fruit that follows this ministry. 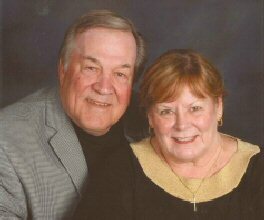 Pastor Dan and Claudia founded their first church, Abundant Life Church, in River Falls, WI in 1980. They began the second church, River Valley Christian Church, in Lake Elmo, MN on April 5th, 1988, and a third, RVCC-St. Croix Falls, in September of 2008. Dan and Claudia were used by God to pioneer each of these churches, which are still healthy and operating today.